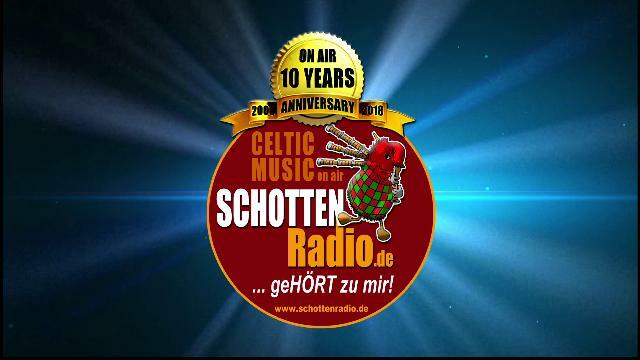 10 YEARS ANNIVERSARY SCHOTTENRADIO 2018 - 2018. Basil Wolfrhine: "It's been a 10 year non stop radio party dream with great artists around the planet and many fantastic projects full of happy moments. Thanks to everyone who has made the dream of a Celtic Family true. Thanks to the musicians, composers, record labels, managers, organizers, promoters, technicians and all the helping hands around SchottenRadio. And special thanks to all our listeners around the world. Thank you for your support. We love to entertain you on air and look forward to all the new adventures to come."